2014 is already filling up with exhibitions and opportunities. I hope you’ll join me at some point along the way either as a contributor or meeting up at one of my exhibitions. Last year I spent two days in the Simulated Mental Health ward at Kingston University and St Georges University London. Under the guidance of psychotherapist Harvey Wells and Dr Julia Gale I have been fortunate enough to be awarded artist-in-residence status by the award winning initiative. January sees my return to the fray, where I’ll be sketching in the ward environment and recording the conversations between client and nurse. The aim is to produce a film like last year and use the information, drawings and sound as a positive creative force. There is talk of teaming up with experimental Jazz trio Toy Rokit to produce some soundscapes, possibly with performances and recordings. I have two exhibitions on the horizon. The first is the Jawspring Exhibition which fuses poetry and art. The writers from the Wimbledon and Merton Poetry Circle have given their poems to 25 artists from around the world to be interpreted. 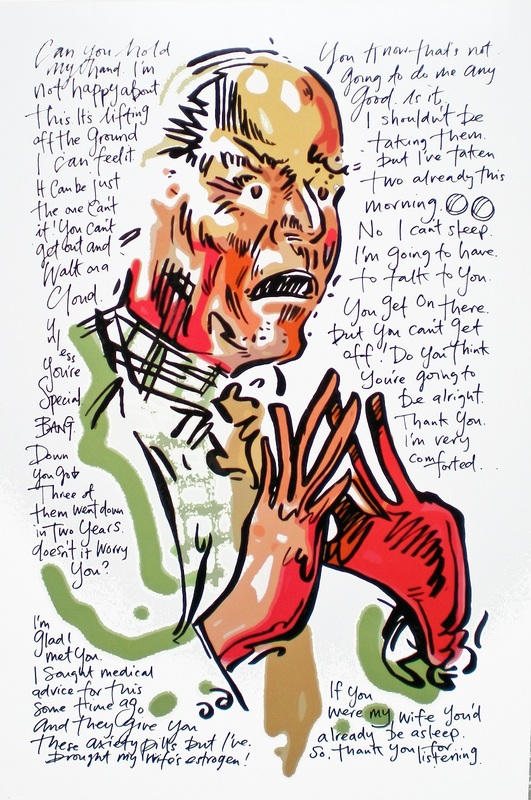 We will exhibit both poems and inspired artwork at the Village Hall Trust Gallery (Wimbledon) from 19-24th March with a party and private view on 21st March 2014 (World Poetry Day). So please come along. If you’re feeling adventurous why not join in. We have 100 spaces available for anyone who can write a haiku. We’ll be printing these onto toy sushi and exhibiting them in the gallery. Just follow this link to get involved. The second exhibition is with our fantastic collective of artists who recently created the thought provoking Cardboard City exhibition alongside the Southbank, London in December. This time we have been awarded a coveted curatorial slot at the Fringe Arts Bath Festival in May/June this year for our inclusive FAB Fridge exhibition. We are inviting artists of any style, age and discipline to send us their artworks and we will be exhibiting them on the streets of Bath, UK. We will be transforming their art into magnets and along with a band of CollectConnect volunteers placing in public spaces where discerning art collectors can pick them up for FREE. Please get involved it’s a fabulous opportunity for all who believe that Art is for everyone. Find the FAB Fridge submission details here. I’m working on several album covers at the moment. Leo Appleyard’s debut album artwork is in its very early stages. 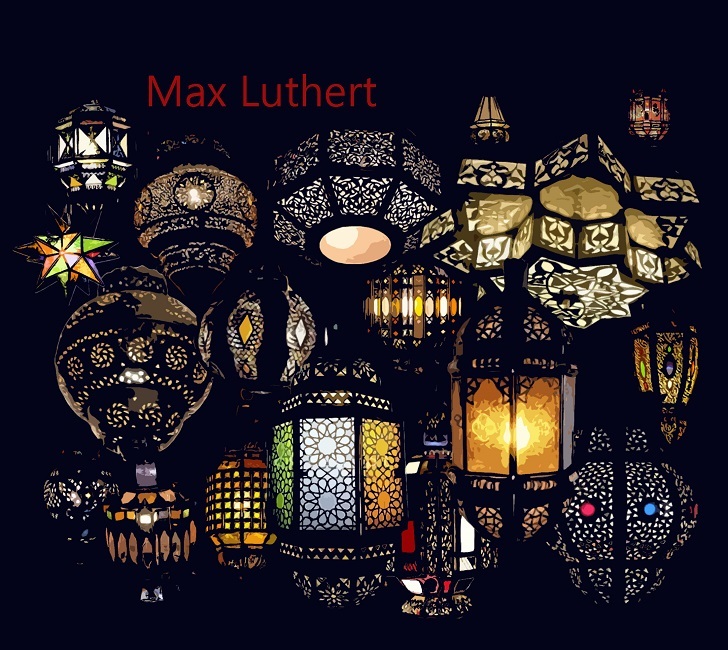 The hot one is Max Luthert’s debut which is near completion. Catalan pianist Jaume Gispert’s is being printed as I write this, it’s my first vinyl LP and I really appreciate the extra canvas to work on. Samuel Eagles artwork is finished too all ready for release in 2014. Next month I’m back in the studio with Partikel for their 3rd album, along with a string quartet! I’m working with Thomas Yocum on his language/travel book Loba Lingala which we will also publish at Sampson Low Ltd. It will be the definitive book on learning and speaking the Lingala language which has over 10 million speakers, many in the Democratic Republic of Congo where Mr Yocum resides. I am also working with Teresa Hunt on her novel ‘The Bats’. We are currently illustrating the front cover. Over the next year I’ll be co-author (with Chris Hart and Harvey Wells) on the book “Working with People with Mental Health Problems” for the Open University Press. Obviously I’m very excited about this and the year ahead.